March 10th in Theme Lists, WordPress Themes by Wordpress Jedi . 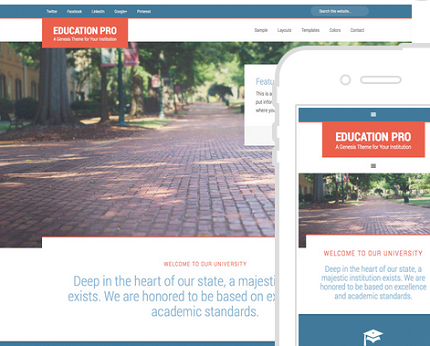 Education: a clean WordPress theme for educational institutions. It has 6 color styles and layout options. This is a Genesis child theme. 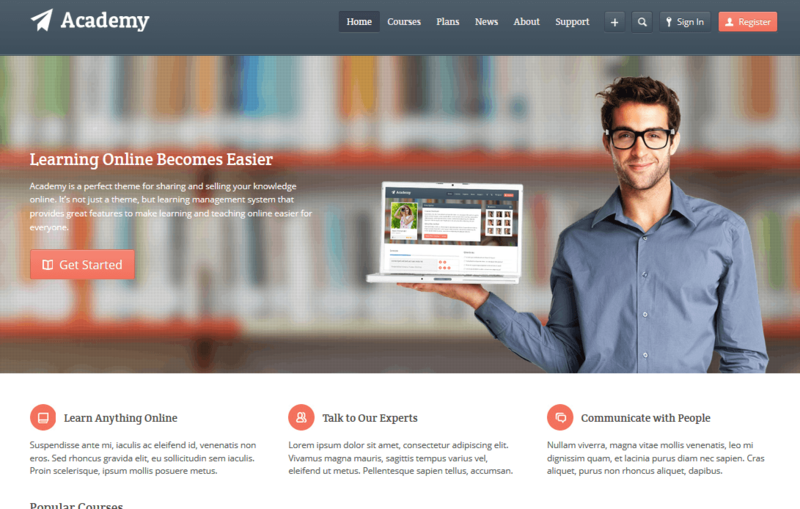 LMS: a powerful theme for online schools. 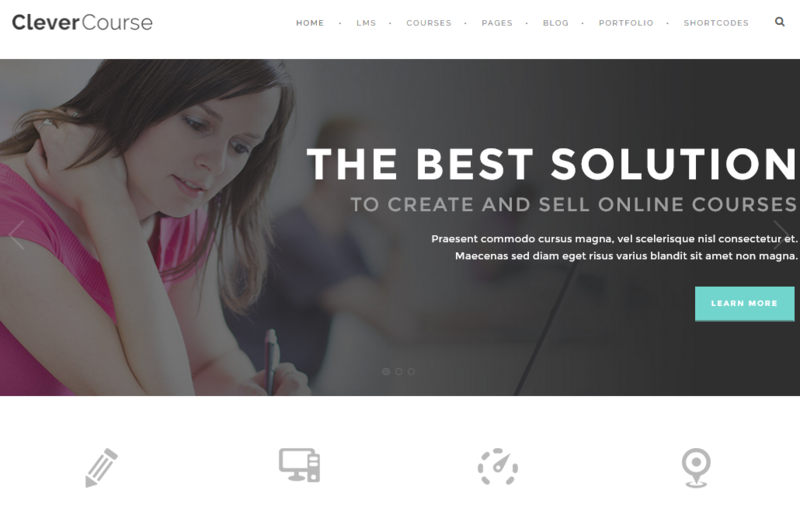 It offers lesson management, video hosting, WooCommerce/Sensei support, and a quiz system. 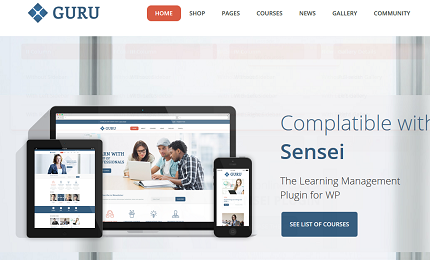 Guru: an elegant WordPress theme with support for the Sensei plugin. 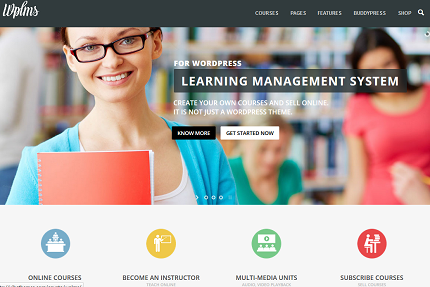 It has a powerful page builder and lets you manage courses, teachers, and students easily. 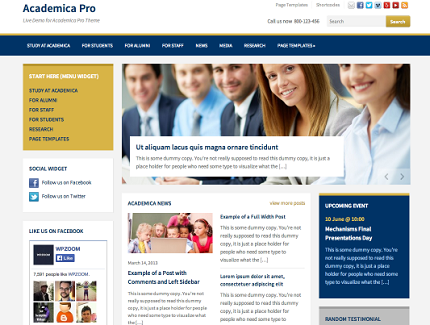 Academia Pro: a modern, responsive theme with various custom page templates. It has 12 custom widgets and a dynamic homepage builder. Academy: a theme designed for selling and sharing knowledge. You can create online courses, track course progress, offer course certificates, and more. WPLMS: supports BuddyPress, bbPress, and WooCommerce. It has 7 custom widgets, quizzes, statistics, a drag & drop page builder, certificates, and many more features. 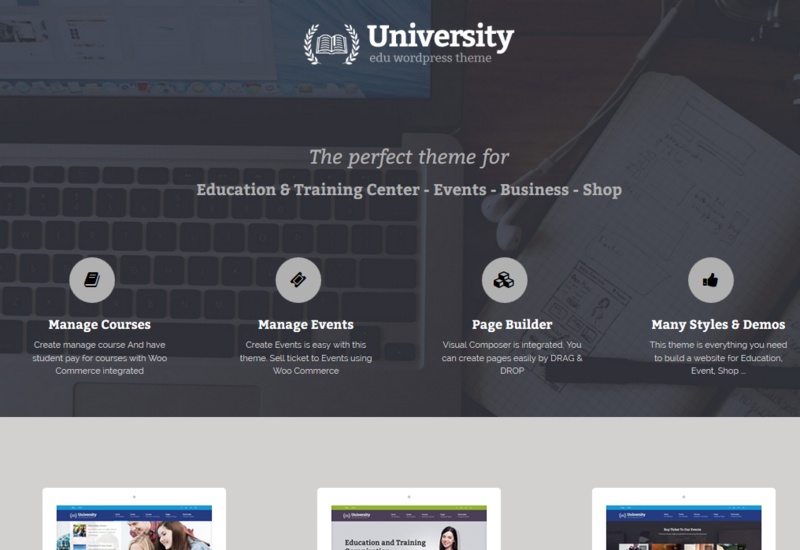 University: this theme is designed for training events and online courses. It has a responsive design and offers automatic updates. 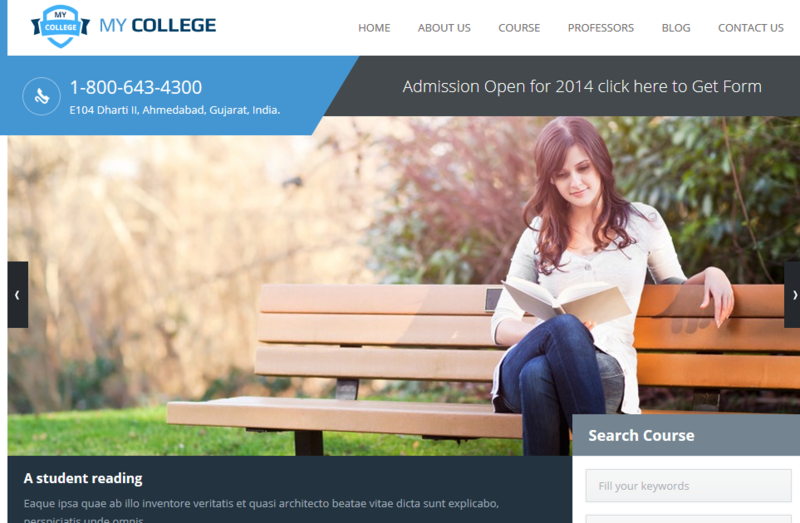 ParkCollege: this theme has a responsive layout and offers unlimited colors, a course manager, and Google fonts integration. HappyChild: developed for kindergartens and schools. It is responsive and offers premium sliders. It is WooCommerce ready. Carry Hill School: an elegant, responsive theme with boxed & wide layouts, unlimited colors, and Google web fonts integration. It has 5 page templates, shortcodes, and Font Awesome integration. 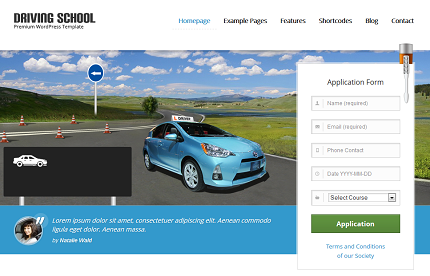 Driving School: a WordPress theme for small businesses, including schools. It has everything you need to showcase testimonials, team members, and photos. 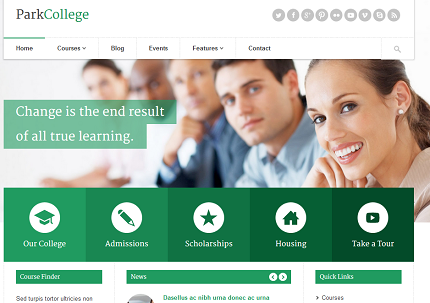 My College: a responsive education and blog theme. It has 3 color styles, custom widgets, and a touch enabled slider. 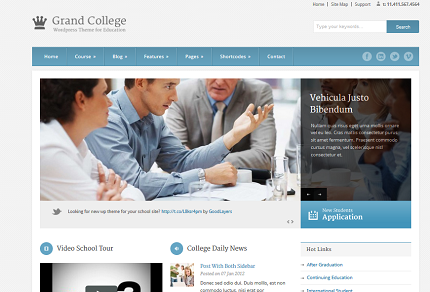 Grand College: a theme for schools, colleges, and universities. It has 450+ fonts, 4 blog styles, 6 footer layouts, 15 background patterns, and built-in shortcodes. 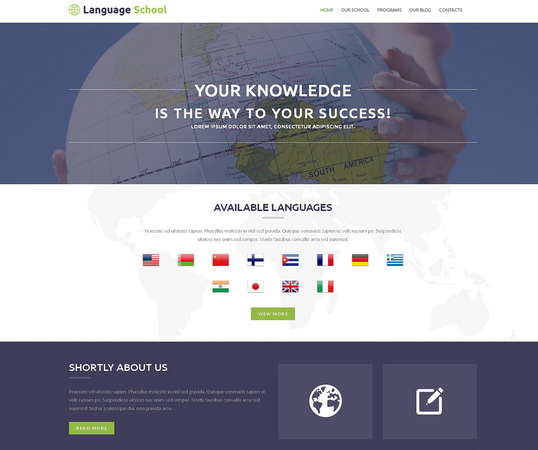 Foreign Language School: designed for language institutions. It is 100% responsive and offers over 80 shortcodes. Dance Studio: a responsive theme for dance schools. It is powered by the Cherry framework. 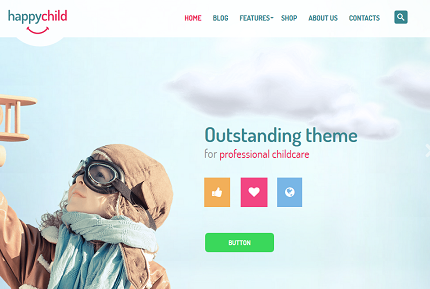 This 2-colum theme offers blog and portfolio functionality. Have you found better-looking school themes? Please share them here.